This made my day! 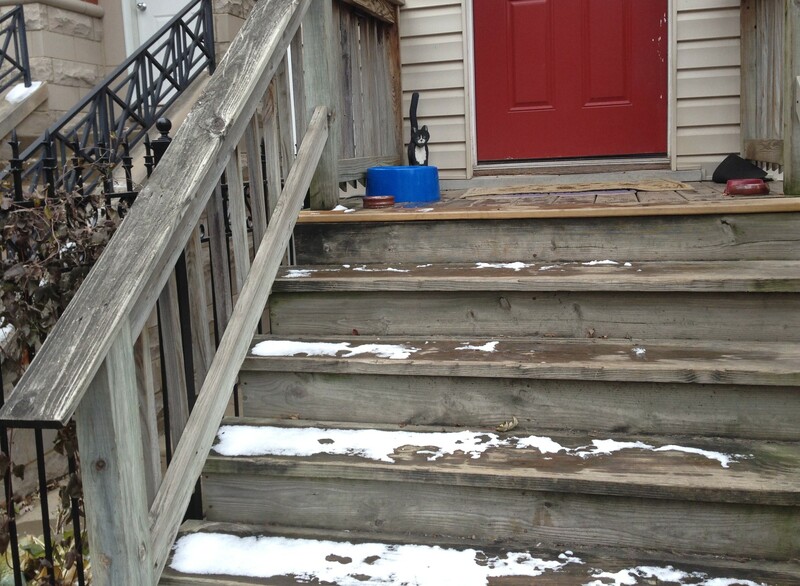 I jogged by the Rockstar Colony today and saw they now have an outdoor heated water bowl. Cats need to stay hydrated and it is hard for them to find fresh water to drink outside. 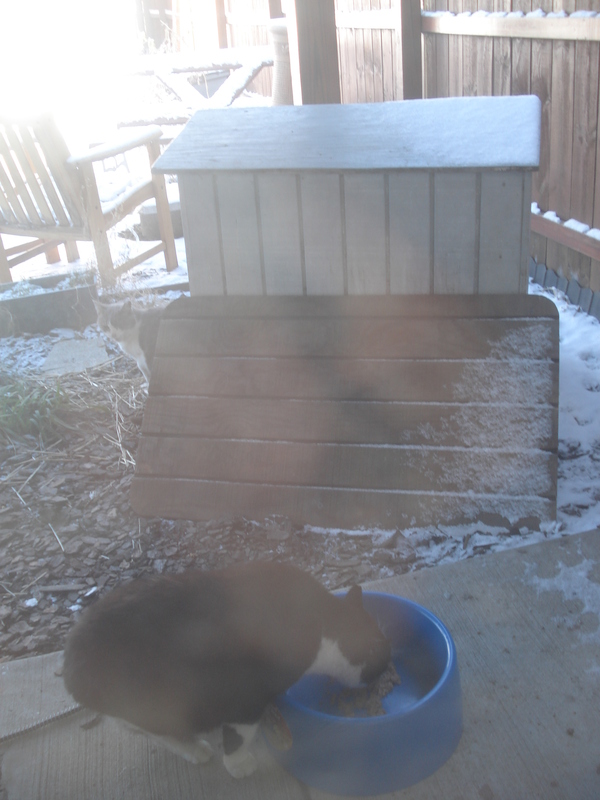 The outdoor heated water bowl is a fantastic solution for the winter. I’ve used one for a few years now for my colony cats. You can also use it to keep wet food from freezing. Cats in my yard are well-fed, warm and TNR’ed. The Rockstar Colony lost their home a month ago, and the feeder moved away. Another neighbor a few doors away stepped up and is feeding the cats daily and caring for them. They told me that right now only one of the cats is sticking around and using the outdoor cat shelter I gave them, but we think it’s probably because of all the new construction on that street. They also told me they’ve asked the “woman who feeds the birds” to keep an eye out for the cats. I figured out they were talking about the Jose and the Pussycats Colony the next block over. Hopefully the cats will come back once the construction activity dies down.